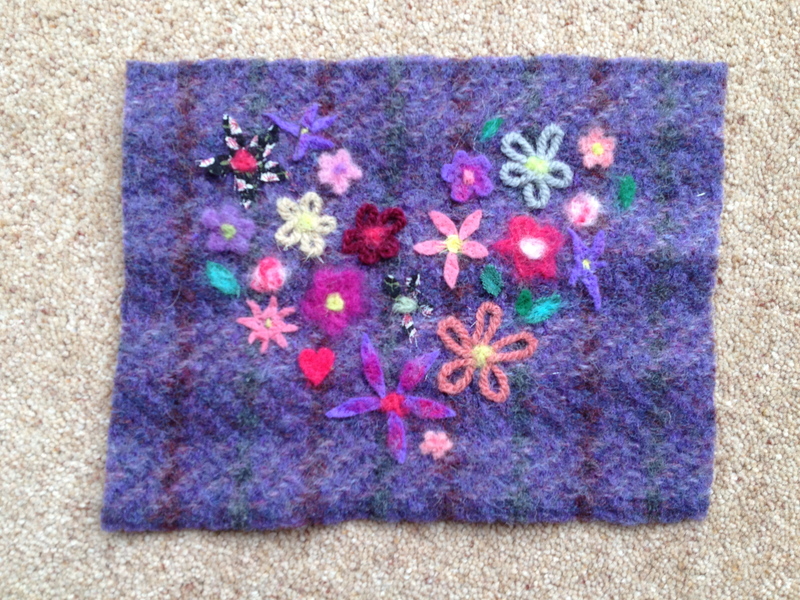 Last year, a friend and I attended a beginners’ felting workshop run by The Tewkesbury Sewing School, where we were encouraged to create free-form designs using a range of simple techniques and various scraps of materials. Everyone in the class had great fun and the items we created were so diverse you’d have thought we had attended different workshops! I knitted a simple cream cover for a box canvas, and blanket stitched the heart to it. Have you attended any crafting workshops? What has been your favourite? I’d love to hear about it! This entry was posted in Uncategorized and tagged creative, Felt, Heart, workshop. Bookmark the permalink. That is very effective – so much prettier in its final form. A lovely present for somebody special. Love the idea of knitting a cover for a Piece of canvas…very clever!